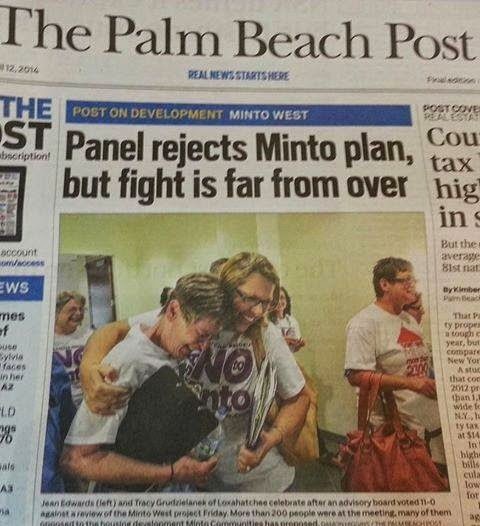 On October 29th, 2014, despite overwhelming public opposition, the Palm Beach County Board of County Commissioners voted 5 to 2 to approve the Minto West expansion. 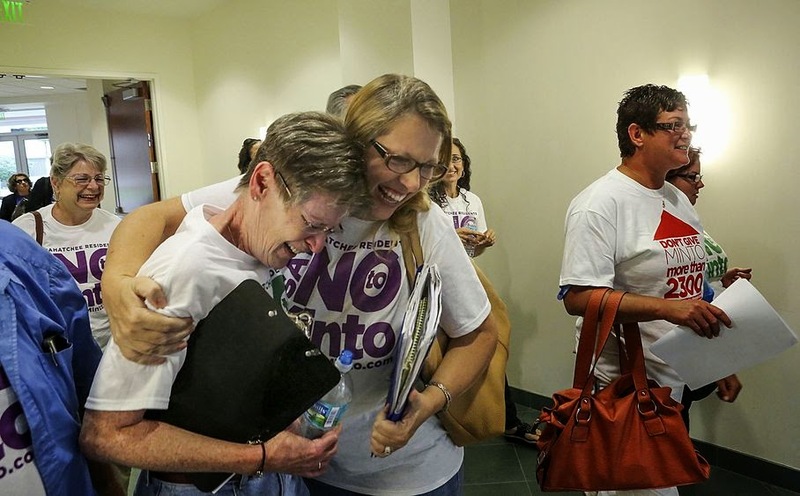 These votes were taken with absolute disregard to the incompatibility of the project with our communities and our quality of life, and despite the inconsistencies with State law and the PBC Comprehensive Land Use Plan, as well as in defiance of the vast opposition of residents, outlying communities and government entities. We are disappointed, but we are not deterred! We ask that you continue to stand with us as we proceed with filing the necessary legal challenges to protect our community. ALERTS of PBC Inc. has filed two legal challenges to the Minto West project, on November 26th and December 3rd, 2014. For a press release with more details, click here. A group has been formed as a non-profit 501(c)(4) corporation for the purpose of preserving our quality of life and opposing over-development. For more information click here: Alerts of PBC Inc.
Minto claims they will provide water resources benefits to the area. Read this letter by the Acreage District Engineer, refuting these claims. It has been sent to the BCC and County Planning and Zoning staff. Our video has been updated !! Relax and enjoy our portrayal of life in the Acreage, and why it needs to be protected !! Given the apparent pro-development stance of the majority of the Palm Beach Board of County Commissioners, the complex nature of applicable statutes, codes, and regulations, and in anticipation of our fight moving to the Courts on behalf of residents, ALERTS is pleased to announce that it has retained the legal services of attorney Ralf Brookes. Mr. Brookes is Florida Bar certified in city, county, and local government and has an extensive background, expertise, and experience in researching and litigating land use, zoning, and local government issues related to development projects. He can represent our residents at Commission meetings and effectively prepare and represent us in the legal arena. If you have any questions and/or comments please direct those to ALERTS to avoid incurring unnecessary legal fees. 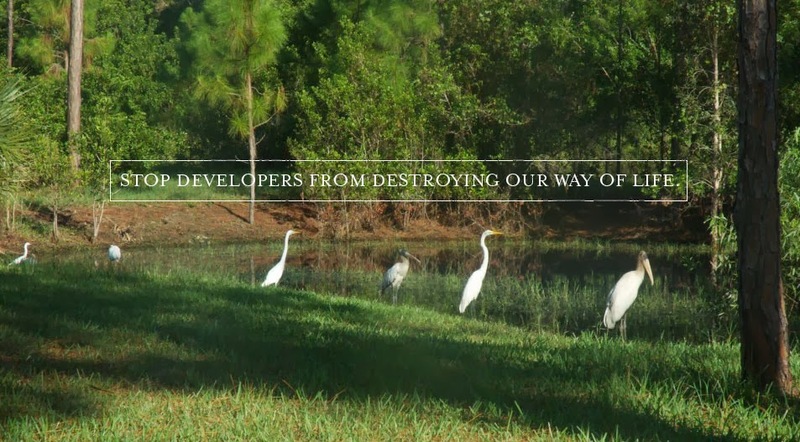 As you are aware, ALERTS (Acreage Loxahatchee Engaged Residents Taking a Stand) of PBC, Inc., was founded for the preservation of the health, safety and welfare of the Acreage, Loxahatchee, and Loxahatchee Groves residents. ALERTS strives to preserve and protect our unique rural atmosphere and way of life, now and into the future, from overdevelopment. Our ability to retain Mr. Brookes was possible only through the donations we have received thus far. Our battle is far from over and we need your continued support. No donation is too small and every donation is very much needed and appreciated. Please visit www.alertsofpbc.com to see how you can donate and help protect and preserve our communities. Please consider a donation to the group Donate to Alerts of PBC Inc. The funds will be used for hiring the necessary experts, which will include attorneys, land use planners, and traffic consultants, as well as other incidental expenditures. Please enjoy this video, produced and filmed in the Acreage/Loxahatchee. It includes residents speaking about why they oppose Minto's over-development plans. 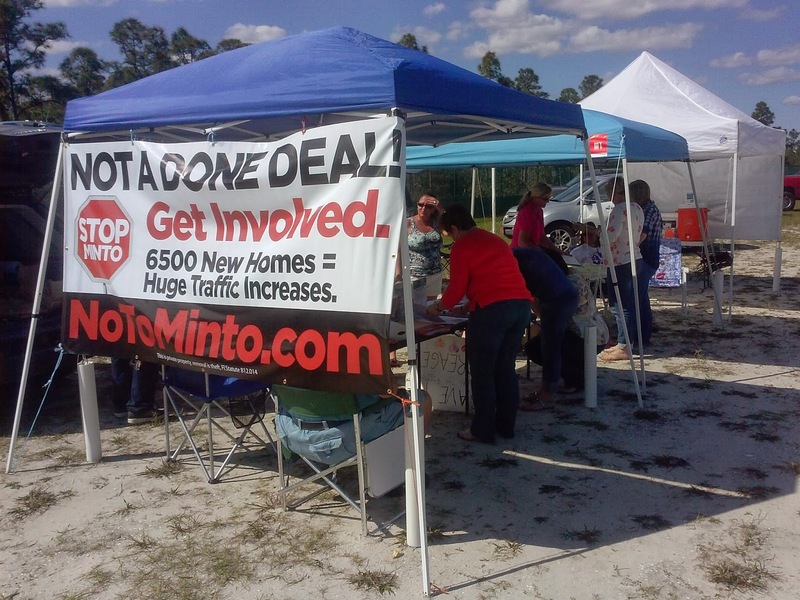 Please "sign" our petition to support Indian Trail's actions to block Minto traffic from our resident-owned roads. ONLINE PETITION - please sign. Please be advised that the Palm Beach County Informational Meeting regarding Minto West has been scheduled for Tuesday, July 8th at 6:30 PM at the Seminole Ridge Community High School Auditorium, 4601 Seminole Pratt Whitney Road Loxahatchee, FL. The purpose of the meeting is to provide information regarding the applications and to explain the amendment and zoning process. 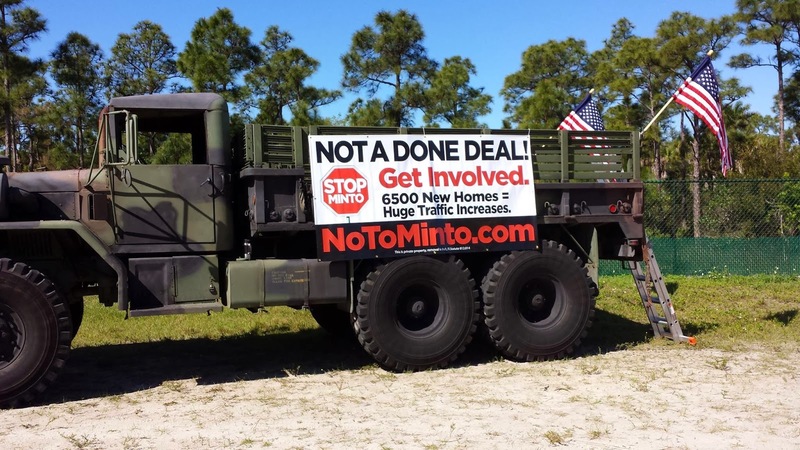 Here are two recent resolutions opposing Minto, which have been sent to the PBC Board of County Commissioners. CityWatch is a voter group of about 40,000 residents. The next "public" meeting on the Minto West project will be on June 25, 2014 @ 2:00 p.m. Planning, Zoning & Building Dept. 1st Floor, Room 1W-47, 2300 N. Jog Road, WPB, FL before "LDRAB", or the Land Development Regulation Advisory Board. As is the Planning Commission, LDRAB is an "advisory board" who only makes a recommendation to the Board of County Commissioners. This particular 6/25 Meeting is on Minto's request to amend the ULDC or Unified Land Development Code. Yes, it is unusual to request to amend the Code before a Land Use Amendment Application has been approved, but as mentioned before, Minto is engaged in three processes all at the same time, i.e. land use amendment, code amendment, and zoning. This is not identified as a "critical" meeting; however, all meetings on this project are extremely important and we encourage all residents to attend and participate if able. Based on the County's current schedule, all three of these decisions will happen in one huge public hearing on October 29 (with October 30 being held in case in carries over to 2 days). The order is Land Use Amendment, then ULDC, and then Zoning. Despite that order, the LDRAB advisory board meeting on ULDC is being heard, as mentioned above, on June 25 @ 2 p.m.
Click here to review the proposed ULDC changes being requested by Minto. All underlined in red is new language, all strike through in red is language being deleted. This is complicated, but it is a start to looking at what Minto is intending if they ultimately receive the land use amendment they are seeking. You will see they are seeking substantial changes in code. Scroll down to start at beginning and work your way up. The next Board of County Commissioners meeting is on Monday April 28th, at 301 North Olive Avenue, West Palm Beach, 6th floor (Governmental Center), at 9:30am. This meeting is on "text initiation", which is the exact same issue heard on 4/11 by the Planning Commission, only this time, the BCC (Board of County Commissioners) make the "real decision". This is not a "critical" meeting; however, in light of the 4/11 meeting, it has taken on a more important role. If you can attend the meeting, it would again show a united front by our community! 1. Remind them that their advisory board, appointed by them, i.e. the PBC Planning Commission on April 11, 2014, by a unanimous 11 to 0 vote, recommended NOT to initiate. 2. That the text initiation be denied as inconsistent with State law, our PBC Comprehensive Land Use Plan, and incompatible with the surrounding area. 3. This property already used up it's allowance of a 'unique' process under Agricultural Enclave. 4. Request that future meetings concerning the Minto West project be held in the late afternoon/evening hours at the Vista Center, or in much larger venue where all can attend and be heard. These are the names, phone numbers and email address of the BCC. First I list them individually and at the bottom, I just group all of the email addresses together so you can cut and paste them into an email. 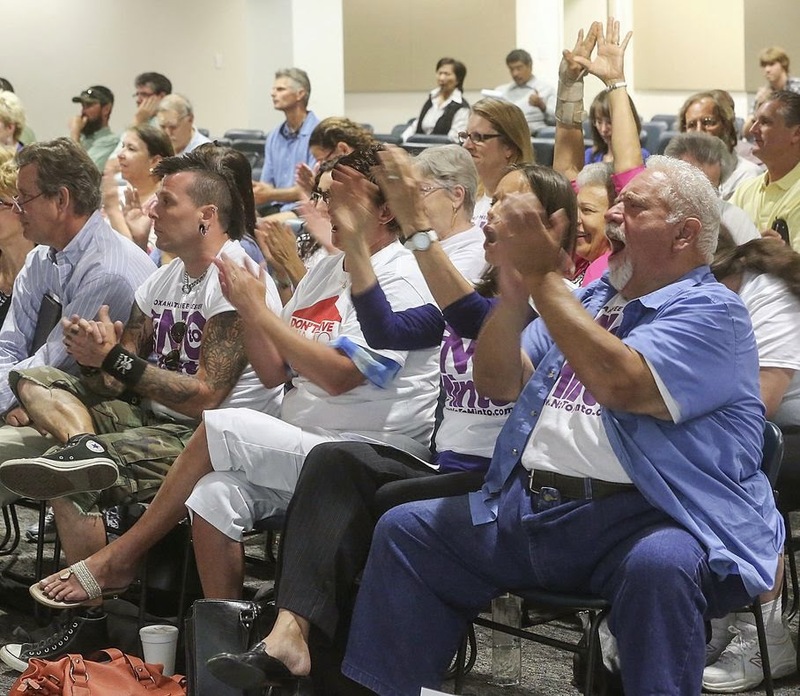 A UNANIMOUS VOTE (11-0) by the Palm Beach County Planning Commission to DENY Minto's private text amendment to revise the Agricultural Enclave provisions in the Future Land Use Element of the County's Comprehensive Plan. County staff had recommended approval. 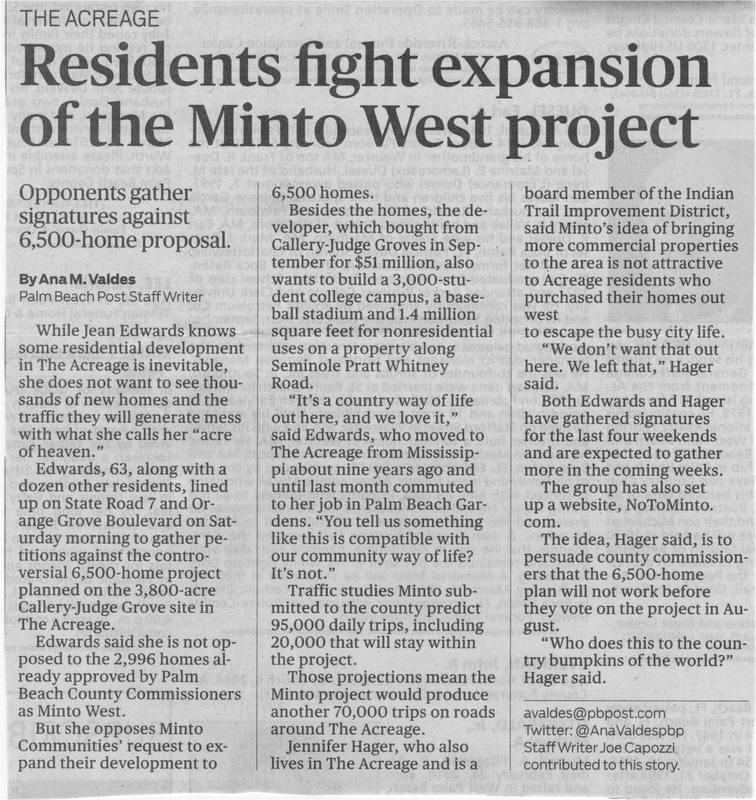 This is a stepping stone in our fight against the Minto over-development, but the "fight is far from over." The news made the front page of the Palm Beach Post on April 12th. That the text initiation be denied as inconsistent with State law, our PBC Comprehensive Land Use Plan, and incompatible with the surrounding area. That future meetings concerning the Minto West project be held in the late afternoon/evening hours at the Vista Center. There are the names and email address of the members of the Planning Commission. First they are listed individually and at the bottom, grouped all together so you can cut and paste them into an email. This email is being sent as a courtesy notice to those who have expressed an interest in the site known as Minto West. Please be advised that an upcoming meeting related to Minto West's request for a private Text Initiation will be heard by the Planning Commission on Friday, April 11, 2014, 9:00 a.m., Planning, Zoning and Building Department, 1st Floor, Room 1W-47, 2300 North Jog Road, West Palm Beach, FL. Please be aware that this is not a review or consideration of the proposed development and Comprehensive Plan FLUA amendment. The Planning Commission will only be providing a recommendation to the Board of County Commissioners on whether or not to initiate a text amendment to the Comprehensive Plan. The subsequent public hearings on the Comprehensive Plan FLUA amendment will be heard by the Planning Commission on May 23rd and by the Board of County Commissioners for Transmittal on June 9th. In addition, the following meetings and public hearings will be taking place in the next few months: Board of County Commissioners Text Initiation Palm Beach County Informational Meeting Planning Commission FLUA and Text Public Hearing Board of County Commissioners Transmittal FLUA and Text Public Hearing Board of County Commissioners Adoption FLUA and Text Public Hearing. A show of public pressure will make a BIG difference! Sign and send petition (family members and neighbors too!). See documents page. Contact the County Commissioners and express your opinion (email addresses and phone numbers are below). Tell your neighbors and other residents. Check this website regularly for news and updates. Contact loxalerts@yahoo.com if you have special questions or want to help more. 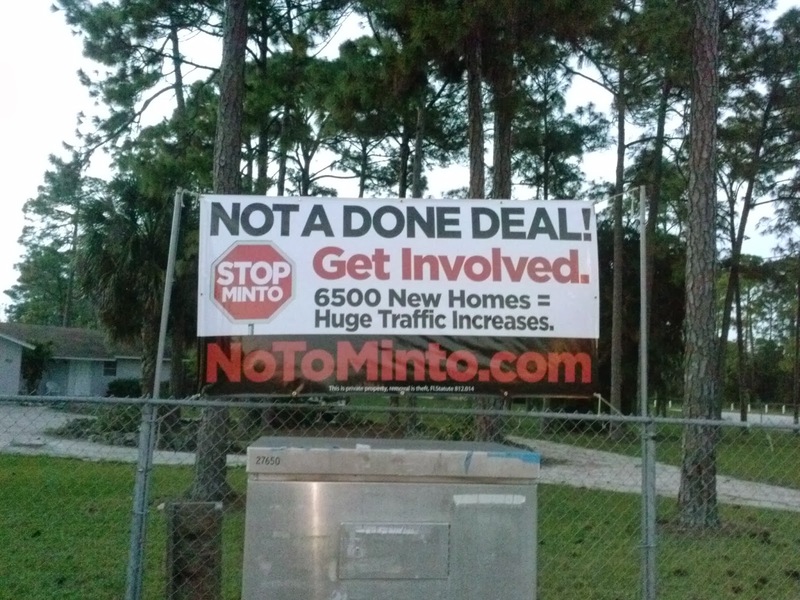 Those interested in acquiring "No To Minto" banners, car magnets, or car screens can contact Teresa at 561-596-3985. 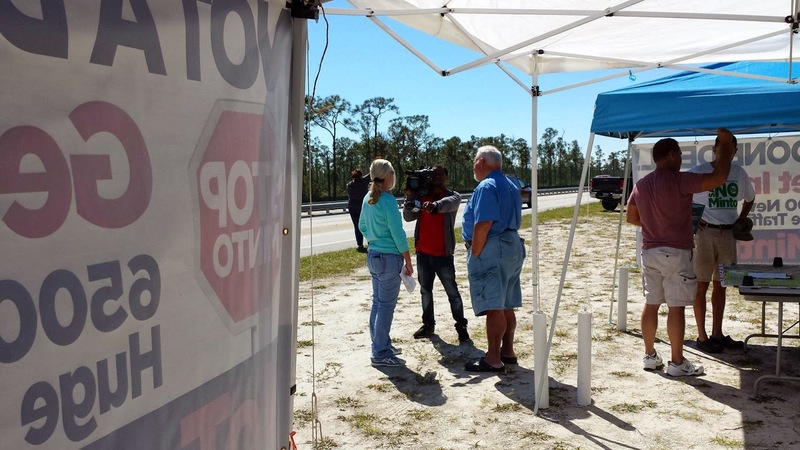 More great media coverage today, thanks to our friends at WPTV (NBC ch.5) and WFLX (Fox 29). A quote from the segment: "It's a David and Goliath situation, and we know how that story ended." "Roadside Rally" on Seminole Pratt/Northlake. This is the lifestyle we are trying to preserve ! Enclave” application for land use amendment. Another awesome "Roadside Rally" on SR-7 today. TV crews from channel 12 and channel 25 came to film video segments, as well as two journalists from the Palm Beach Post, who wrote an article and filmed a video segment. Great way to show a banner ! "Roadside Rally" on SR-7 extension (just south of Orange Grove). Twenty-one volunteers collected a record number of petitions, breaking our previous record by 40% !! Thank you to all residents who stopped to get information and sign petitions !! 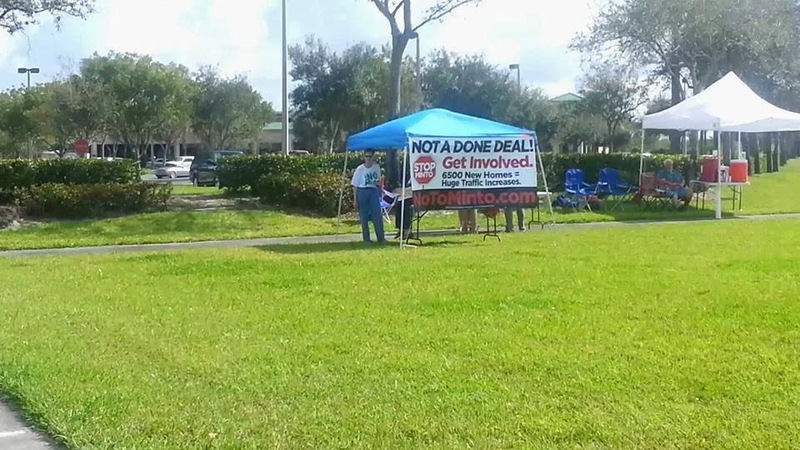 "Roadside Rally" in front of the WinnDixie plaza on Seminole Pratt road. Building on the momentum from the Town Hall meeting, we collected a record number of Roadside Rally petitions. The "ALA Town Hall Meeting about Development" was a huge success. It was held at the Seminole Ridge High School auditorium. The event included a 30 minute presentation and about 2 hours of residents speaking and asking questions at the microphones. Not a single resident spoke in favor of the Minto application. The ballot question was whether to support Minto's application to increase the residential units and commercial areas. These are the preliminary results. The total number of votes cast was 650. 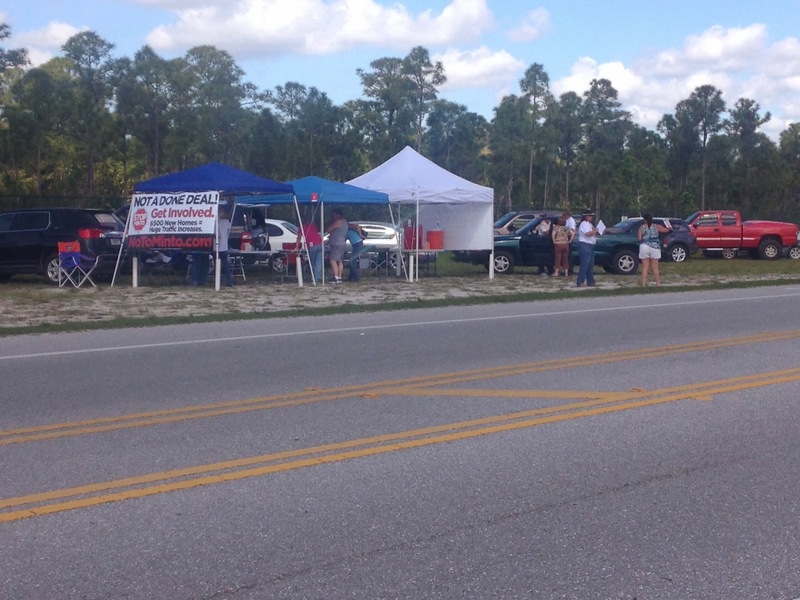 Volunteers are placing 4x8 ft. banners on the private property of residents throughout the community to raise awareness. Many residents have requested these. If you would like a banner for your property, please email loxalerts@yahoo.com. Demand is very strong and we are making a second group order now. 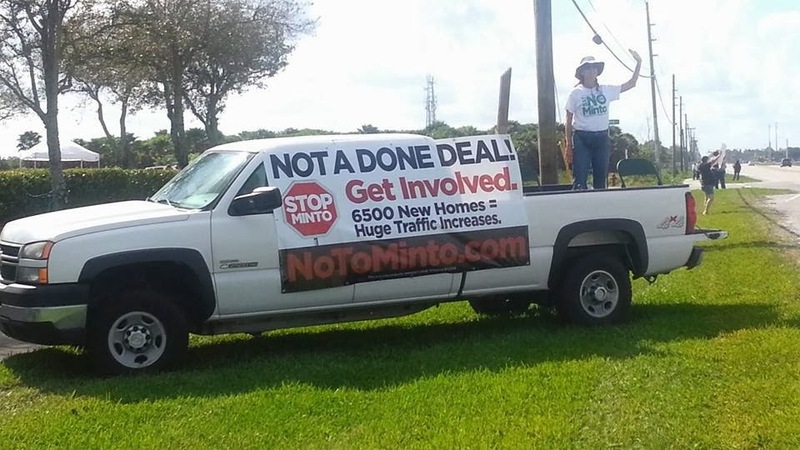 Minto updated their website, which states that they have been approved for building 2996 homes, but fails to mention that their current application is for 6500 homes !! 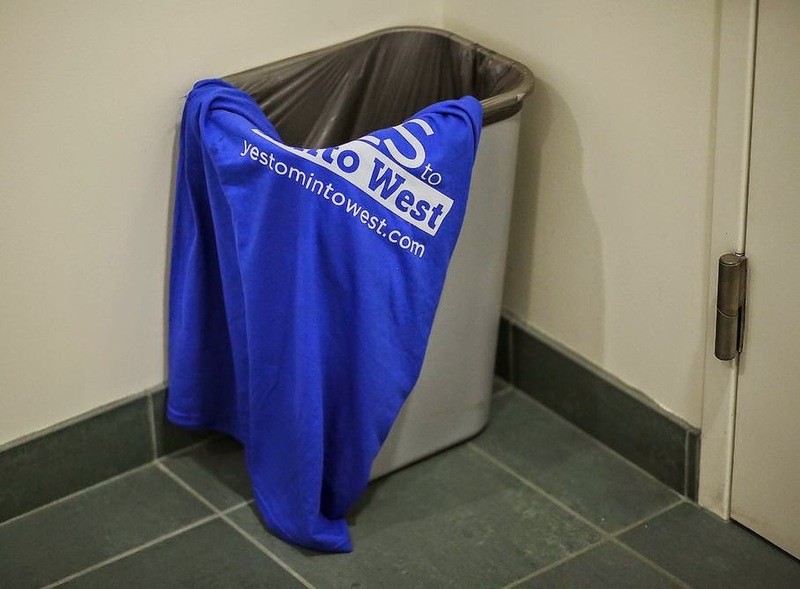 http://mintowest.com/ Isn't that misleading ? Why are they not being open and clearly stating what they are planning ?? TV Channel 12 segment about "No To Minto" and opposition to Minto West. This is a sample of what was posted on a local blog site. We're getting the message out, and once people are provided with the facts, the OVERWHELMING response is: No To Minto !! Uploaded the traffic study for Minto West and Avenir (see "Documents" page). It is a study prepared by the developers (not the County), and submitted to PB County Planning staff. The Minto study projects 70,273 new daily trips through the Acreage. This is equivalent to one car per second, for 19 hours each day. It also discusses the need to widen eleven local roads to carry the new traffic, some up to 6, 8, and even 10 lanes wide. The Minto study assumes Avenir does not exist, and vice versa. If both developments are built, both traffic studies will have to be redone, and the increase in traffic will be almost unimaginable. At 6:30 p.m., Commissioner Paulette Burdick held a meeting with Palm Beach Beach Planning Staff, at the Vista Center, 2300 N. Jog Road, West Palm Beach. 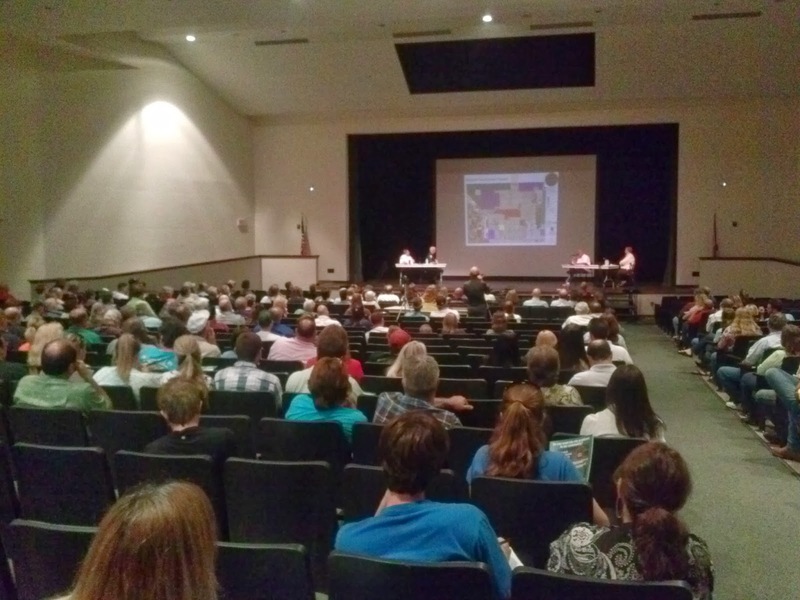 This meeting was open to the public, and the topic of discussion was "land-use issues that will determine the future of communities such as The Acreage, Loxahatchee Groves and Deer Run." Below is the most recent update from Palm Beach County sent on December 18, 2013. Please note that the dates listed in the update are for a Planning Commission and Board of County Commissioners “text initiation” hearing. These are not the hearings at which a decision will be made on the application filed by Minto. There will be two “public hearings” at which the actual application will be considered by the Board of County Commissioners. These hearing dates have not yet been set, but they are a “transmittal hearing” and then several months later an “adoption hearing”. These two meetings will be the critical meetings where the attendance of all will be necessary. Prior to the “transmittal hearing”, the matter will also be heard by the Palm Beach County Planning Commission. This hearing date has also not yet been set. The Planning Commission is an “advisory board” and they will be voting on their recommendation to the Board of County Commissioners. This is an optional meeting for our residents, although it would be great if you can turn out for this meeting as well! 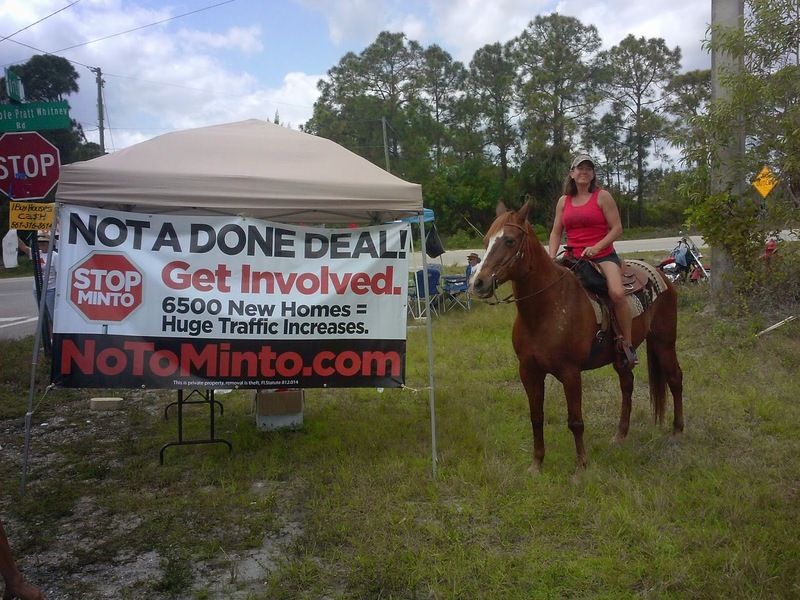 Previously, at our request, and in light of the “special” treatment that Minto was receiving with their own special land use round, the County had agreed to hold the “public hearings” in the evening and at the Vista Center (on Jog Road just north of Okeechobee Boulevard). This would make it less of a burden on working residents, and provide a shorter driving distance. A month later, at a Board of County Commissioners (BCC) meeting, our elected officials decided it would be too inconvenient for them to convenience our Community. One Commissioner who represents residents in south county, went so far as to say her residents wouldn’t come to the meeting if it were held in the evening??? At the text initiation hearings mentioned below, we would like to have as many of our residents as possible show up and yet once again request evening meetings at the Vista Center for the public hearings on this project. If you cannot attend, an email to the County Commissioners making this request would be appreciated! This email is being sent to the Planning Commission (PLC), County staff receiving PLC email notifications, and to persons who have expressed an interest in the site known as Minto West. Planning Commission Text Initiation: Friday, February 14, 2014, 9:00 a.m., Planning, Zoning and Building Department, 1st Floor, Room 1W-47, 2300 North Jog Road, West Palm Beach, FL. Board of County Commissioners (BCC) Text Initiation: Thursday, March 27, 2014, 9:30 a.m., 6th Floor Chambers, 301 North Olive Avenue, West Palm Beach, FL. Please download and get signatures. To clarify, the January dates would be for the initiation review of the text amendment only. The PLC & BCC for at a Transmittal Public hearings (for the text and FLUA Amendment) would likely be in April or May. If the BCC transmits the amendments to the State, the Adoption Public hearing typically occur approximately 2 months after the transmittal date (June or July), but we are planning on bringing both the FLUA/Text amendment and the Zoning Application to the BCC for a single Adoption Hearing. This would mean that the Adoption Hearing would occur sometime between June and October - whenever the concurrent Zoning application meets the necessary requirements to be presented to the Board. The purpose of this email is to provide an update on the Minto West property. On Thursday, November 7th, Planning provided a copy of the Minto West Future Land Use Atlas to the following: All 7 Commissioners, Verdenia, Bob Banks, George Webb, and Jon MacGillis. A note is on the front cover of each copy that the application has not yet been found sufficient for processing. The application was determined to be sufficient for processing on November 15, contingent upon the submittal of a traffic study (Attachment H) and updated Consistency/Enclave Analysis (Attachment G). As soon as we receive these documents we will provide replacement pages for the binders and an updated cover. Also included on the site is background resources that have also been requested by various members of the public (eg. Sector Plan). We will continue to update this site as information is received. We're anticipating presenting the text amendment request to the Planning Commission for recommendation at the January PLC meeting and then to the BCC within the same month (date yet to be determined). The concurrent zoning application is anticipated to be submitted this week. If you have any questions about the FLUA or text amendment, please contact the Planning Project Manager, Maria Bello, at 561-233-5332. Situated in the heart of our Acreage/Loxahatchee community, rests a 3,800 acre (plus or minus) citrus grove known as Callery Judge Grove. Having a land use of rural residential, one unit per 10 acres (or 380 +/- total residential units), the prior owners of Callery Judge unsuccessfully attempted on several occasions to plan large scale developments on the property. In 2006, Callery successfully gained from the Florida legislature and the Governor a new law which allowed the creation of an “agricultural enclave”. Simply stated, the new law allowed an agricultural property which was surrounded by development on three of its sides to seek development consistent with that located on its perimeter/surrounding area. In 2008, using the agricultural enclave law, Callery Judge Grove applied for and received an agricultural enclave designation from Palm Beach County. While the property remains in the “rural tier”, the change entitled the property to a density of 2,996 residential units and 235,000 square feet of non-residential use. The new density represented an increase of property development rights of some 780% over the original allowed 380 residential units (+/-). This new density and intensity was “allegedly” based on the density and intensity surrounding the property on three of its sides. New unified land use development code was created for the agricultural enclave and added to the Palm Beach County ULDC (Unified Land Development Code). Subsequently, Callery Judge Grove claimed that its property was being foreclosed on, and that they had filed for bankruptcy protection. During the late summer months of 2013, developer Minto Homes began making the political circuit rounds, setting up private meetings with elected officials and “leaders”, attempting to solicit support for a development project on Callery Judge. They refused to state in a public forum what their intention was for the property. In late September 2013, Minto closed on their purchase of the grove for the stated sum of $51 million. Within days, of their acquisition of the property, Minto filed an application with Palm Beach County stating that they were seeking an amendment to the Agricultural Enclave land use designation granted to Callery Judge in 2008, for a new development known as “Minto West”. Unhappy with the already approved 780% increase in density on the property, Minto states that they wish a 1,711% increase over the original land use, by seeking 6,500 residential units consisting of zero lot line homes, townhomes and apartments. In addition, they are seeking 1.4 million square feet of non-residential industrial, aerospace manufacturing, research, retail (to get a visual on how much 1.4 million is, think about the 1 million square feet or so representing the Wellington Green Mall!) plus a 3,000 student university, plus a spring training baseball facility, plus a hotel/motel, plus unstated recreational facilities. This is not consistent with the density and intensity of development of the perimeter/surrounding area of Callery Judge Grove. The first hearing on this development is Minto’s application for special treatment. This is scheduled for October 28, 2013, at 9:30 a.m., before the Palm Beach County Board of County Commissioners, 301 North Olive Avenue, 6th Floor Commission Chambers, and West Palm Beach, Florida. Their request is for the addition of a “special land use round” in the spring of 2014, just for this developer. Otherwise, the project would likely be scheduled for Round 2 Land Use applications for the year 2014, and held in the late summer. Our first action is to oppose this special treatment. The best manner of opposition is to show up at commission meetings, and let our County Commission know how you feel in person! Yes, it might involve losing a half day of work, but this is our “home” and our “way of life” and it is being threatened! Send a copy to Maria Bello of Palm Beach County Planning Division MBELLO@pbcgov.org asking that your email be made a part of the record. Loxahatchee and Acreage residents are a very diverse group. Our residents come from all different backgrounds, some of us born and raised here, others relocating from all different areas. There are many different reasons we have chosen to move out here to the "Western Communities" of Palm Beach County. Maybe you wanted to live on a small farm? Or a safe place to raise your family. Maybe you got tired of the "Urban Sprawl" and the traffic. Whatever brought us out here, we all enjoy the same benefits. Whether or not you moved out here with the assumption that development would follow, the County has designated zoning and land use codes to ensure that people or corporations restrict the use of the land to within certain guidelines. This is why we have a pig farm behind Publix and not skyscrapers. Recently, there have been several developments regarding the sale of land for development and, while developers are entitled to build on their land, they are still required to adhere to the land use and zoning restrictions set in place by the County. As you will read, what the land use is designated for and what Minto, the new owner and developer of the former Callery Judge Groves, is proposing is staggering. Minto would like for you to believe that they are planning "a vibrant and sustainable community that integrates with the rural character of the western communities". We will be continuously updating the web-site to provide enough facts for you to determine for yourself if this is what you feel belongs in our community. Please read about Minto's plan and what it means to our community and our lifestyle. Note the detrimental effects it will have on our water supply, drainage, environment, traffic, and overall quality of life. If this is not what you want in your community, please read about how you can help us. Read More about Minto and Callery Judge Groves. Please contact our Board of County Commissioners with a letter or phone call. Let your voices be heard. SAY NO TO MINTO. Text and photographs may not be published, broadcast, redistributed or aggregated without express permission.